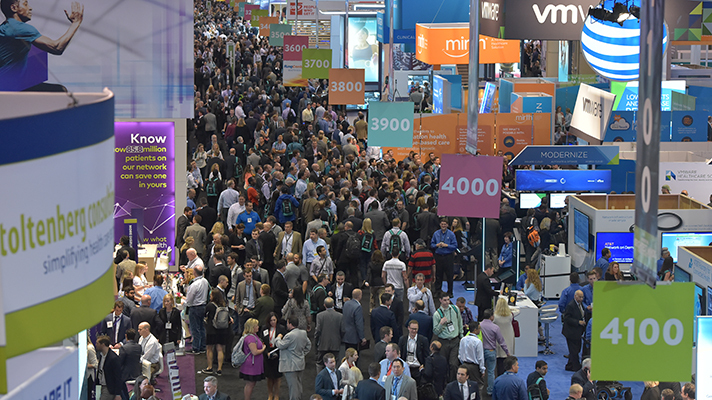 HIMSS19 is a health IT conference for a wide variety of stakeholders in healthcare and that, of course, includes clinicians. With that in mind, here’s a guide specifically tailored for nurses and physicians attending HIMSS19. In order to highlight the diversity of attendees and offerings, this year HIMSS is organizing HIMSS Circles, an opt-in, curated conference experience. One circle, the Clinical Executive Circle, is aimed specifically at helping those generally responsible for making the health informatics platform work with clinical IT staff, make the most of HIMSS. HIMSS also has the Physicians Circle and Informatics Nurses Circle to bring together physicians and informatics nurses to interact with colleagues, like-minded professionals, fellow clinicians, and world-class thought leaders, giving participants the opportunity to learn from their HIMSS19 experience to ensure current and future investments in health information and technology deliver the best possible outcomes. On Monday, a number of preconference symposia can be added to a conference registration for an extra fee. Several of these events might appeal to clinical executives, physicians, and informatics nurses especially if they line up with their particular focus, including sessions on empowering physicians, understanding the changing role of the nurse and the impact on informatics, and topics such blockchain, interoperability, the opioid crisis, big data, and aging tech. For any clinical executive, physician or informatics nurse though, there should be something to gain from the AMDIS-HIMSS Physicians’ Executive Symposium and the Nursing Informatics Symposium. Registrants for any symposium are invited to attend sessions at other symposia as a park hopper after the opening keynote at the symposium they registered at. Both symposiums focus on empowering clinicians about how to use the EHR today to manage the continuum of care. Speaker Susan Hassmiller, Senior Adviser for Nursing at RWJF, will provide her personal perspective on technology and the human connection as the closing keynote to the Nursing Informatics Symposium. Dr. Bobbie Byrne, CIO at Advocate Healthcare, will close the symposium sharing stories of challenges, successes and failures that highlight why physician leadership is so important. Topics include how EHR interoperability can support safer and more effective care, particularly in the behavioral healthcare space and how CMIOs can help their organizations develop thoughtful approaches as they shape their interoperability strategies. Moderated by Jim Jirjis, MD, Chief Health Information Officer, HCA. Speakers include Dr. John Halamka, CIO of Beth Israel Deaconess Medical Center, Dr. Mark Pearce, a Forensic Psychiatrist at CAMH and Ontario Shores, as well as Coray Tate, Vice President, Clinical Research, KLAS Enterprise. The Nursing Informatics Roundtable provides the platform to enable the advancement of CNIOs and nursing informaticists as part of an integrated care team. Moderated by Molly McCarthy, Chief Nursing Officer Microsoft US Health & Life Sciences, Speakers include Whende Carroll, founder, Nurse Evolution, Ellen Pollack, CNIO at UCLA Health System and Karlene Kerfoot, CNO of GE Virence Healthcare. Throughout the week, attendees have the opportunity to attend educational sessions, selecting from hundreds of general education, keynote, and views from the top sessions. Using the education search tool, you can filter sessions to fit your need. A recommended matrix of sessions has been developed for the specific circles, selected to provide a mix of key topics to balance their educational experience. Attendees will be introduced to content from our clinical informatics communities including the Health Technology Alliance (HTA) and the HIMSS-SIIM Enterprise Imaging Community. On behalf of the HTA, on Wednesday, Feb. 13, 9:00am ET, at the HIMSS Spot, Pamela Arora, CIO, Children’s Health, Texas and Sue Shade, principal of StarBridge Advisors, will focus on the importance and value of building a strong relationship between a hospital’s IT Department and HTM department. The HIMSS-SIIM Enterprise Imaging Community Roundtable “Using the HIMSS Digital Imaging Adoption Model to Advance Your Enterprise Imaging Strategy” includes leaders Kimberley Garriott, principal consultant, Logicalis, Dr. Eugenia McPeek-Hinz, Associate CMIO at Duke University Health System, and Dr. Christopher Roth, vice chair of radiology and clinical informatics at Duke University Health System. Learn about how the Digital Imaging Adoption Model (DIAM), spearheaded by the HIMSS-SIIM Enterprise Imaging Community leadership, can contribute to organizational strategic planning. All week at HIMSS Global Conference, the HIMSS Circle Ambassadors will be present, offering their guidance and networking with Circle Program members. The Clinical Executive Ambassador is Dr. Ashwini Zenooz, SVP and GM for Global Healthcare and Life Sciences at Salesforce. The Physician Ambassador Dr. David Danhauer, Chief Medical Information Officer at Owensboro Health. And the Informatics Nurses Ambassador is Sophia Brown, RN Informatics at Memorial Sloan Kettering Cancer Center. Tammy Kwiatkoski is director of clinical informatics at HIMSS.